Information technology refers to the acquisition, processing, storage and dissemination of all types of information using computer technology and telecommunication systems. Technology includes all maters concerned with the furtherance of computer science and technology and with the design, development, installation and implementation of information system and applications. Information technology architecture is an integrated framework for acquiring and evolving IT to a chieve strategic goals. It has both logical and technical components. Computer hardware and software, voice, data, network, satellite, other telecommunications technologies, multimedia are application development tools. These technologies are used for the input, storage, processing and communication of information. Information technology includes ancillary equipment, software, firmware and similar procedures, services etc. Modern high throughput technologies are providing vast amounts of the sequences, exp ressions and functional data for genes and protein. One of the most difficult challenges is turning this enormous pool of information into useful scientific insight and novel therapeutic products. # This net can work as electronic mailing system. # It can have access to the distant database, which may be a newspaper of foreign country. # We can exchange our ideas through Internet. We can make contact with anyone who is a linked with internet. # On Internet, we can exchange letters, figures/diagrams and music recording. Internet is a fast developing net and is of utmost important for public sector undertaking, Education Institutions, Research Organization etc. SWIFT, as a co-operative society was formed in May 1973 with 239 participating banks from 15 countries with its headquarters atBrussels. It started functioning in May 1977. RBI and 27 other public sector banks as well as 8 foreign banks in India have obtained the membership of the SWIFT. SWIFT provides have rapid, secure, reliable and cost effective mode of transmitting the financial messages worldwide. At present more than 3000 banks are the members of the network. To cater to the growth in messages, SWIFT was upgrade in the 80s and this version is called SWIFT-II. Banks in India are hooked to SWIFT-II system. SWIFT is a method of the sophisticated message transmission of international repute. This is highly cost effective, reliable and safe means of fund transfer. # This network also facilitates the transfer of messages relating to fixed deposit, interest payment, debit-credit statements, foreign exchange etc. # This service is available throughout the year, 24 hours a day. # This system ensure against any loss of mutilation against transmission. # It serves almost all financial institution and selected range of other users. It is clear from the above benefit of SWIFT that it is very beneficial in effective customer service. SWIFT has extended its range to users like brokers, trust and other agents. ATM is an electronic machine, which is operated by the customer himself to make deposits, withdrawals and other financial transactions. ATM is a step in improvement in customer service. ATM facility is available to the customer 24 hours a day. The customer is issued an ATM card. This is a plastic card, which bears the customer’s name. This card is magnetically coded and can be read by this machine. Each cardholder is provided with a secret personal identification number (PIN). When the customer wants to use the card, he has to insert his plastic card in the slot of the machine. After the card is a recognized by the machine, the customer enters his personal identification number. After establishing the authentication of the customers, the ATM follows the customer to enter the amount to be withdrawn by him. After processing that transaction and finding sufficient balances in his account, the output slot of ATM give the required cash to him. When the transaction is completed, the ATM ejects the customer’s card. Cash withdrawal is the basic service rendered by the bank branches. The cash payment is made by the cashier or teller of the cash dispenses is an alternate to time saving. The operations by this machine are cheaper than manual operations and this machine is cheaper and fast than that of ATM. The customer is provided with a plastic card, which is magnetically coated. After completing the formalities, the machine allows the machine the transactions for required amount. In 1994, RBI appointed a committee to review the mechanization in the banks and also to review the electronic clearing service. The committee recommended in its report that electronic clearing service -credit clearing facility should be made available to all corporate bodies/Government institutions for making repetitive low value payment like dividend, interest, refund, salary, pension or commission, it was also recommended by the committee Electronic Clearing Service-Debit clearing may be introduced for pre-authorized debits for payments of utility bills, insurance premium and instalments to leasing and financing companies. RBI has been necessary step to introduce these schemes, initially in Chennai, Mumbai, Calcutta and New Delhi. Bank net is a first national level network in India, which was commissioned in February 1991. It is communication network established by RBI on the basis of recommendation of the committee appointed by it under the chairmanship of the executive director T.N.A. Lyre. Bank net has two phases: Bank net -I and Bank net- II. 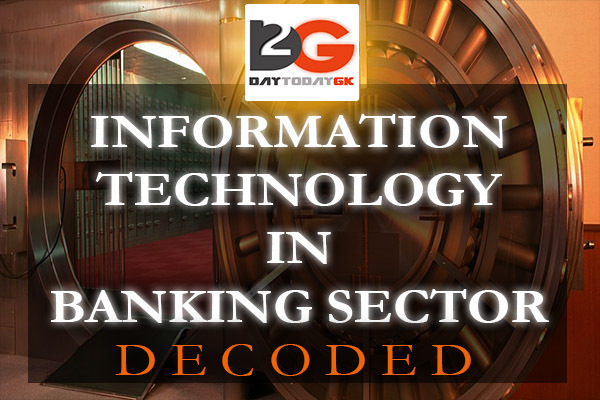 # The message of banking transaction can be transferred in the form of codes from the city to the other. # Quick settlement of transactions and advices. # Improvement in customer service-withdrawal of funds is possible from any member branch. # Easy transfer of data and other statements to RBI. # Useful in foreign exchange dealings. # Access to SWIFT through Bank net is easily possible. The customer of the bank is provided with a special type of credit card which bears customer’s name, code etc. The credit amount of the customer account is written on the card with magnetic methods. The computer can read these magnetic spots. When the customer uses this card, the credit amount written on the card starts decreasing. After use of number of times, at one stage, the balance becomes nil on the card. At that juncture, the card is of no use. The customer has to deposit cash in his account for re-use of the card. Again the credit amount is written on the card by magnetic means. Customers can now dial up the bank’s designed telephone number and by dialling his ID number will be able to get connectivity to bank’s designated computer. The software provided in the machine interactive with the computer asking him to dial the code number of service required by him and suitably answers him. By using Automatic voice recorder (AVR) for simple queries and transactions and manned phone terminals for complicated queries and transactions, the customer can actually do entire non-cash relating banking on telephone: Anywhere, Anytime. connected to a telephone link with the help of a modem. Voice processing facility provided in the software. This software identifies the voice of caller and provides him suitable reply. Some banks also use telephonic answering machine but this is limited to some brief functions. This is only telephone answering system and now Tele-banking. Tele banking is becoming popular since queries at ATM’s are now becoming too long. Internet banking enables a customer to do banking transactions through the bank’s website on the Internet. It is a system of accessing accounts and general information on bank products and services through a computer while sitting in its office or home. This is also called virtual banking. It is more or less bringing the bank to your computer. In traditional banking one has to approach the branch in person, to withdraw cash or deposit a cheque or request a statement of accounts etc. but internet banking has changed the way of banking. Now one can operate all these type of transactions on his computer through website of bank. All such t ransactions are encrypted; using sophisticated multilayered security architecture, including firewalls and filters. One can be rest assured that one’s transactions are secure and confidential. Mobile banking facility is an extension of internet banking. The bank is in association with the cellular service providers offers this service. For this service, mobile phone should either be SMS or WAP enabled. These facilities are available even to those customers with only credit card accounts with the bank. With expansion of technology, it is now possible to obtain financial details from the bank from remote locations. Basic transaction can be effected from faraway places. Automated Teller Machines are playing an important role in providing remote services to the customers. Withdrawals from other stations have been possible due to inter-station connectivity of ATM’s. The Rangarajan committee had also suggested the installation of ATM at non-branch locations, airports, hotels, Railway stations, Office Computers, Remote Banking is being further extended to the customer’s office and home. Talking of answering systems, there are several banks mainly foreign banks now offering very advanced touch tone telephone answering service which route the customer call directly to the department concerned and allow the customer to leave a message for the concerned desk or department, if the person is not available.